The story goes like this. My wife and I were visiting my family in Colorado. For some reason my sister was on this wild PUN rampage, making some kinda of pun or cheap joke at every opportunity she had. Well, after a night of eating and drinking with the fam, my wife and I headed to bed. As we were laying there about to fall asleep, Morgan says "Ok, I got one….there were two chips…". I said "WAIT". Got out my phone and hit record. "Ok, go ahead". And this golden moment came right out her mouth. If you like the video, you can buy an American Apparel t-shirt with two chips on TwoChipsAnimation.com for $22USD. 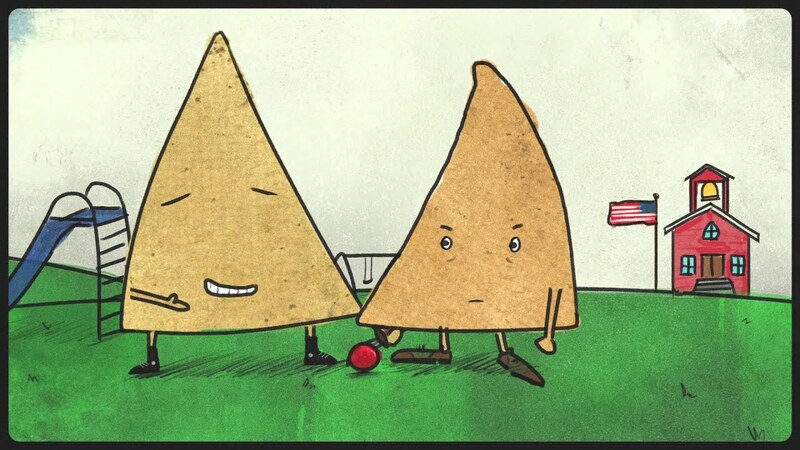 Two Chips Animation was published on Friday, August 8, 2014 at 12:59pm EDT by Daniel Menjívar and last updated on April 11, 2018 at 9:30pm UTC .